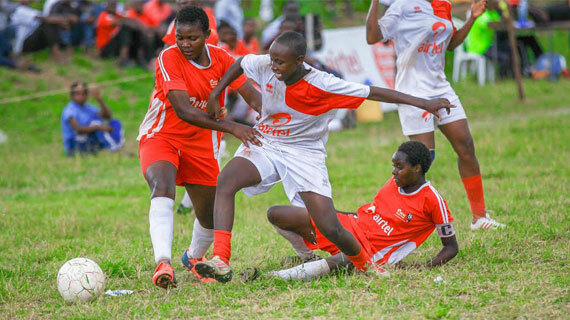 Olympic’s girls High School on Saturday won the regional women soccer title after beating Matuu Memorial 2-1 to emerge as Metropolitan champions. Dorcas Okwomo gave Olympic a first half lead in the 25th minute but Matuu wrestled back to level through Sheela Rono on the 58th minute. Dorah Achieng’ was the hero scoring the winner in the 71st minute. The 2013 national girls’ soccer champions Olympic have now qualified for the nationals thrice in four years, only missing out in the 2014 edition. In the third place playoff, Nairobi County’s Maina Wanjigi emerged victorious after easing past Kikima 2 – 0. Venah Kakai and Nanzala Delphin netted a goal apiece on the 19th and 39th minute.